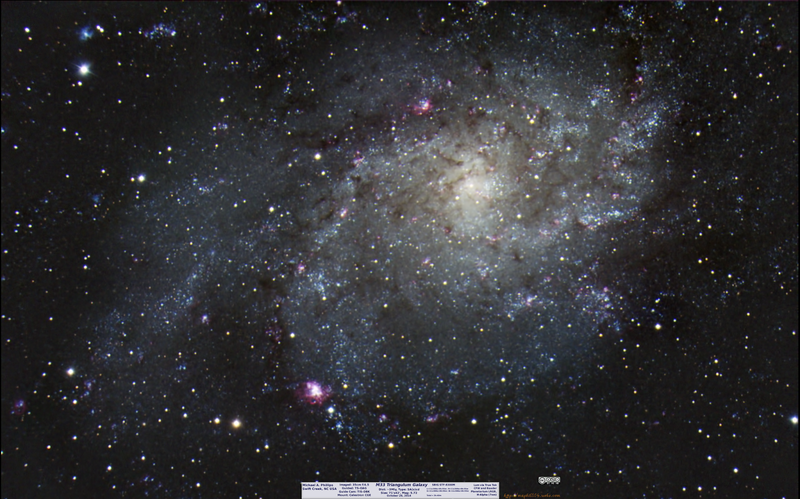 I picked my 8" telescope in 2005, a short year after moving to North Carolina. My interest was and always has been planets, but in between planet apparitions I picked up a DSLR camera to photograph my kids in 2006 and decided to try this deep sky photography thing. 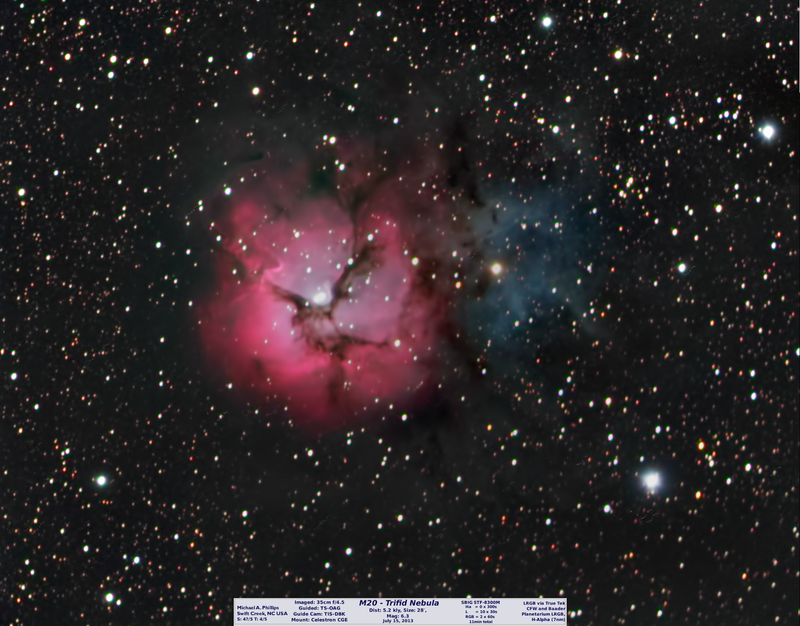 Taken from All images are mine starting with M16 in September of 2007 and ending with M79 on January 18, 2015. Yes, over 7 years of waiting and patience. Most of the images are not print worthy, but are all mine and I'm proud of each one. It's a find, a learning experience and a collectors dream. Sometimes you learn how to organize your data. 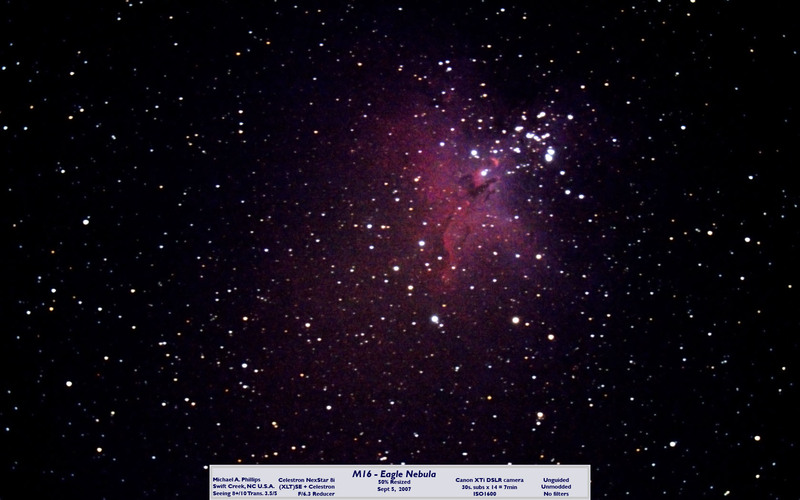 Once I photographed the three open clusters in Auriga and then proceeded to label each one. I labeled the same cluster with two different names thinking they were different photos. Then when I found out I made a mistake many months or a year later, I couldn't tell you which was which. So I then found out about plate solving like Astrometry.net, AstroTortilla and later Elbrus. 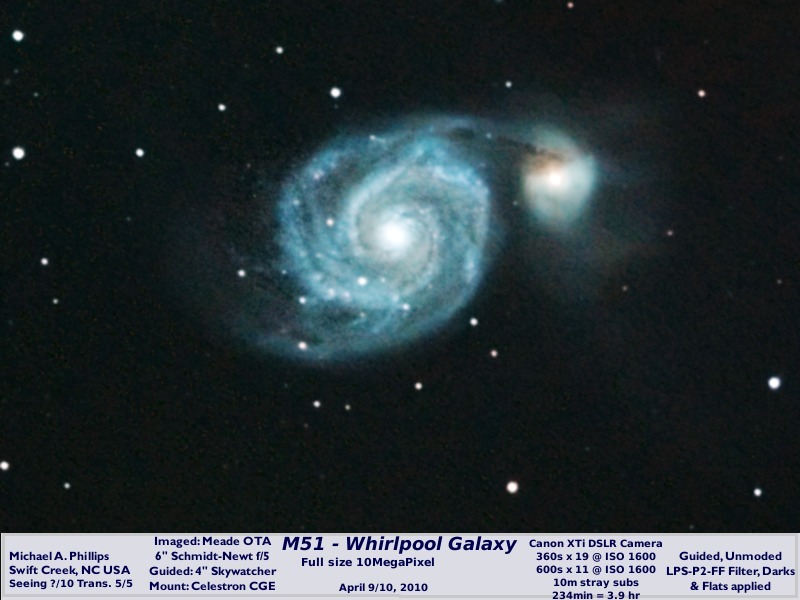 The bug for minor planets and faint fuzzies hit hard in 2013 and I added an SBIG STF-8300M to the mix. Now I'm shooting down to 20th magnitude and finding things BILLIONS of light years outside our home planet Earth. FROM MY DRIVEWAY in suburban North Carolina. 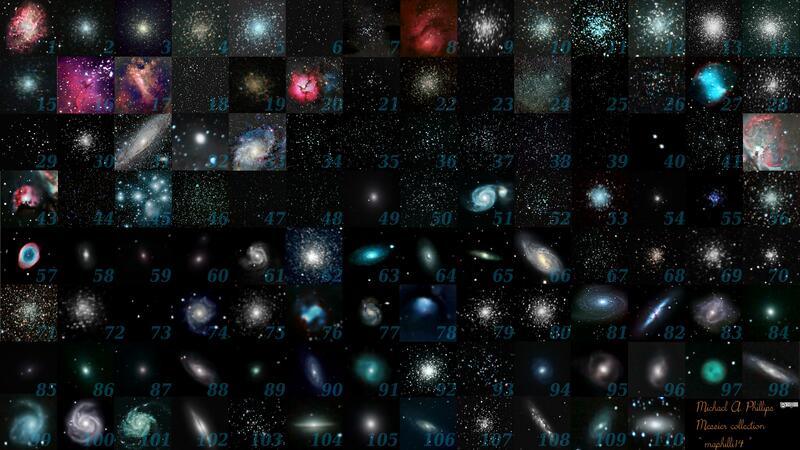 A completed, 110 object Messier collection! If you click the icon it takes you to the image, if you click the text it takes you to a solved link as proof! Next on the list are the Herschel 400! Mars' 2014 retrograde colors, a look back to my images this apparition. A very **UNFAIR** comparison of CCD to DSLR! New approach to processing moon photos. Multimedia by Michael A. Phillips is licensed under a Creative Commons Attribution-NonCommercial-No. Simple theme. Powered by Blogger.